As Associate Pastor of Community, Tanner Stevenson serves our gospel community and assimilation ministries. He and his wife Lacey married in the summer of 2017 in Dallas, TX where they both attended seminary. A Wichita native, Tanner enjoys hunting and fishing (anything outdoors), a good cup of coffee, and Texas Rangers baseball. He is a graduate of Tabor College (BA) and Redeemer Seminary (M.Div). 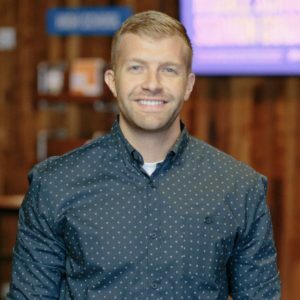 If you’d like to hear more about gospel communities or have any questions related to plugging into the life of the church at Journey The Way, you can email Tanner here.